Social injustices in the news are controversial topics even adults have a hard time understanding. 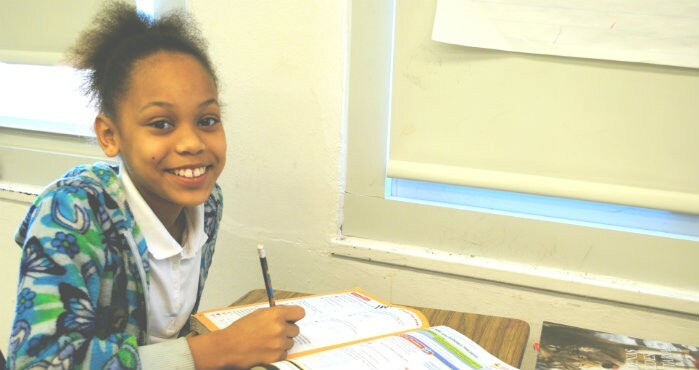 But for fifth-grader Etana King, the solution is clear: do not fight violence with violence. 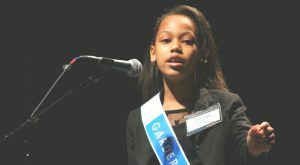 Etana, winner of the 2015 Gardere MLK Jr. Oratory Competition and student at John Neely Bryan Elementary, found inspiration for her speech from injustices she felt Martin Luther King Jr. would be anxious to fix today. Using the judges’ feedback from last year’s competition, in which she placed second, Etana started preparing for this year’s speech right away. Her speech coach Sallie Malvo Pete at Bryan Elementary and big brother Chinelo, who won the competition two years ago, also gave her tips that helped her capture first place. As research for her speech, Etana looked to newspapers and news programs for recent examples of injustice. In writing their essays, speech coach Pete said Etana and other students incorporated insights from their personal family experiences in their speeches. Pete was not surprised to hear Etana’s name when the winner was announced. Just the week before, Etana earned first place in a school spelling bee she was unsure she would have time to prepare for. That time as well, Pete was by her side to give her the encouragement she needed. Etana said she and her family, who were in the audience, were excited and happy when she learned she had won the oratory competition. “They were more excited than me, I think. They were all just so happy that I finally made it because I worked so hard,” she said. As the 2015 oratory competition champion, Etana will attend a series of area events where she will present her speech to members of the community.